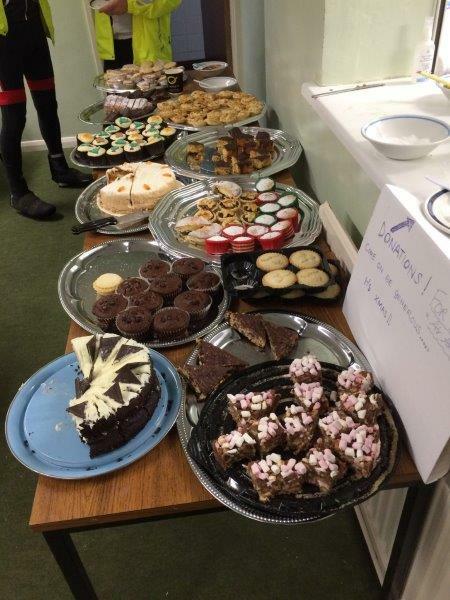 On Sunday 18th December Meynell Valley Hunters Triathlon Club (MVH) organised a Xmas Mincepie Cycle for charity and APP was the lucky recipient of a share of the proceeds, £160.00 in total. Warm thanks go to Robin Barber (pictured in his arresting Xmas jumper!) 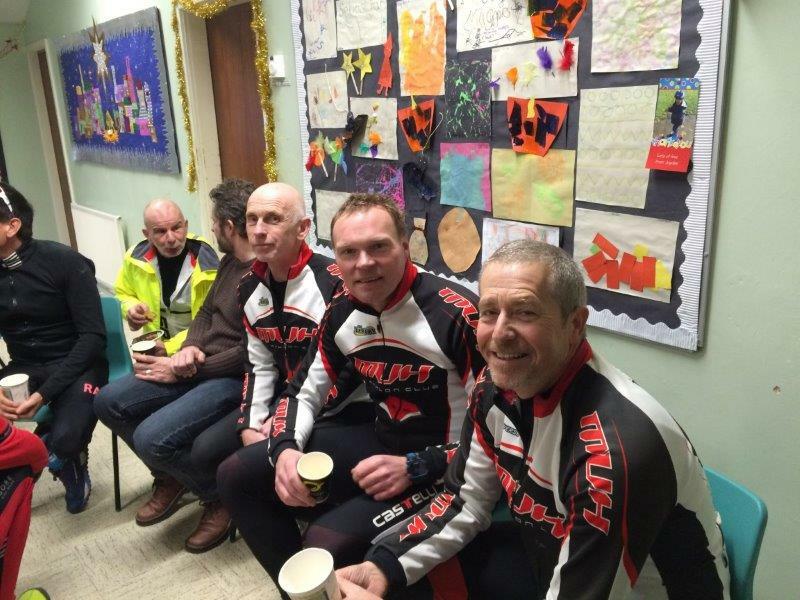 and a wonderful group of Tri Club members who made cakes and mince pies and helped to serve out teas during an extremely successful morning. 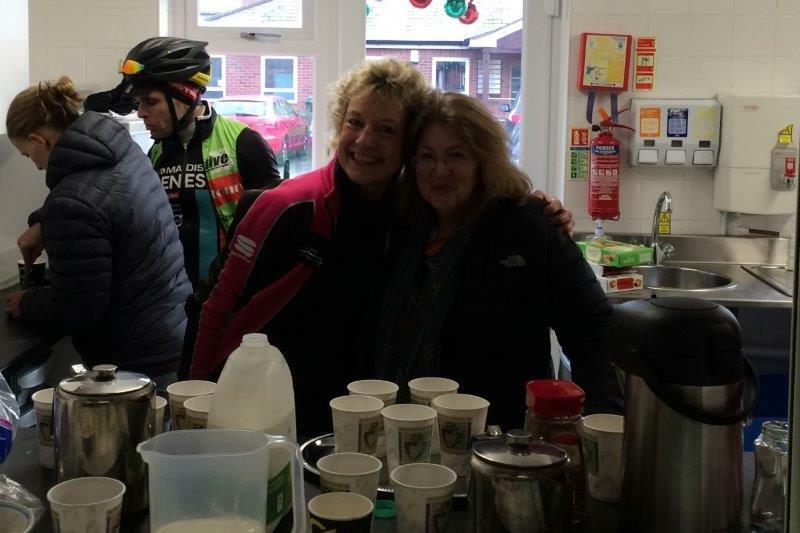 Robin managed to whip up some amazing support from neighbouring Tri clubs and Heather Heron organised an APP information desk. 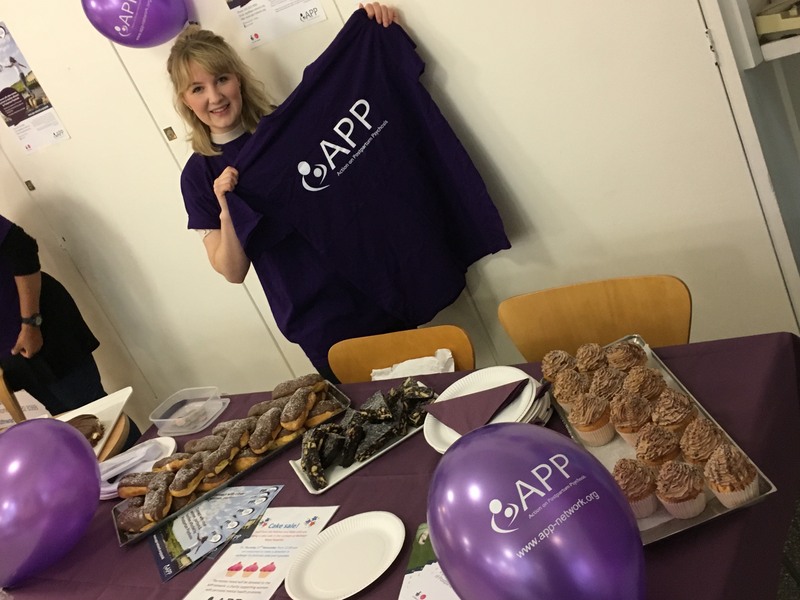 Warm thanks from us all at APP go to a truly charitable club who have already supported APP in a number of events this past year - including their Annual Xmas Dinner Raffle which raised another £150! 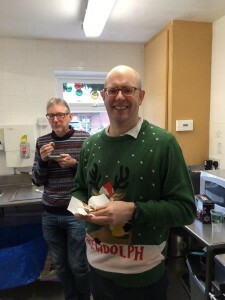 - and especially to Robin who has initiated such a willing charity drive for APP within the club. 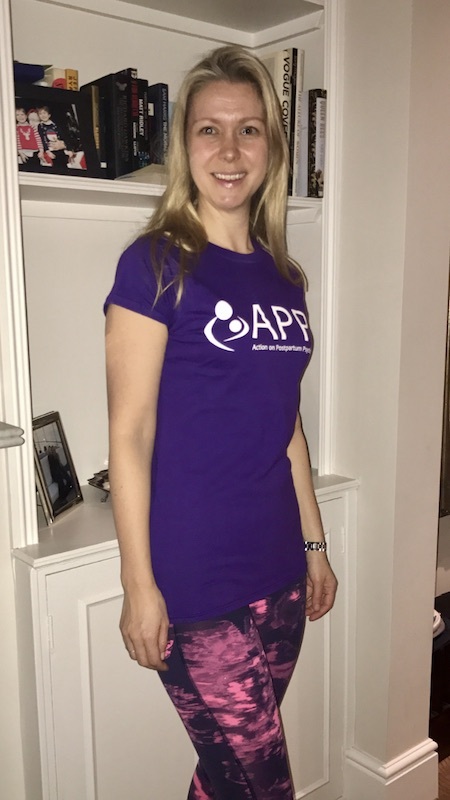 Holly Hawood is running the Thames Meander Marathon on Saturday 5th November. Her sister, Beth, experienced PP after the birth of her son, Leo and this is just the first in a series of 12 marathons she intends to run over the next year to raise money for APP. 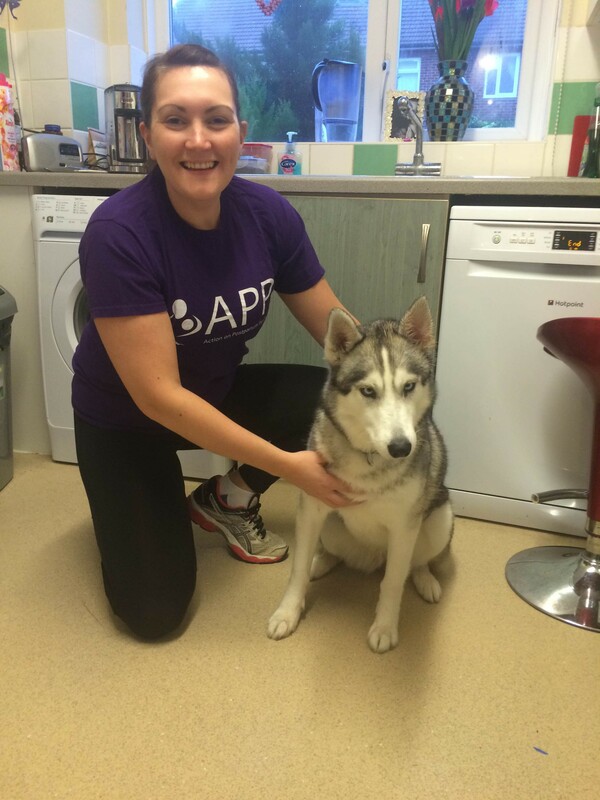 "I have attached a photo of my first training run with my fabulous running partner Alaska. She is my cheerleader on my long distance training runs, and even at crawling pace when I'm on mile 17 of 18 she will give me that little helpful pull up the final hill! Alaska is 3 and I've been running with her since she was a year old. She's helped me train for 10K and half marathon races in the past, and knowing that she needs to stretch her legs encourages me to put my kit on and go! On Saturday I embark on Marathon 1 of 12. 5th of November, a poignant date for me as it is my nephew Leo's 3rd birthday. My sister has now fully recovered from her PPP after Leo's birth and they are celebrating his birthday in Disneyland Paris. 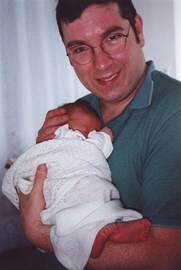 I will be thinking of her every step of my marathon journey and be thankful that she had the amazing support she did. 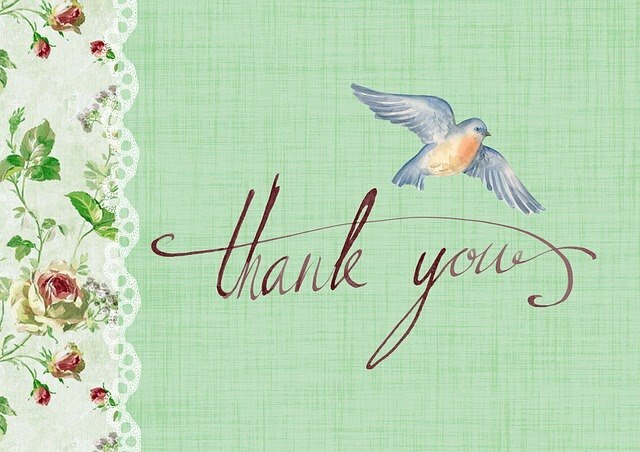 Without that support I know things would have been different." 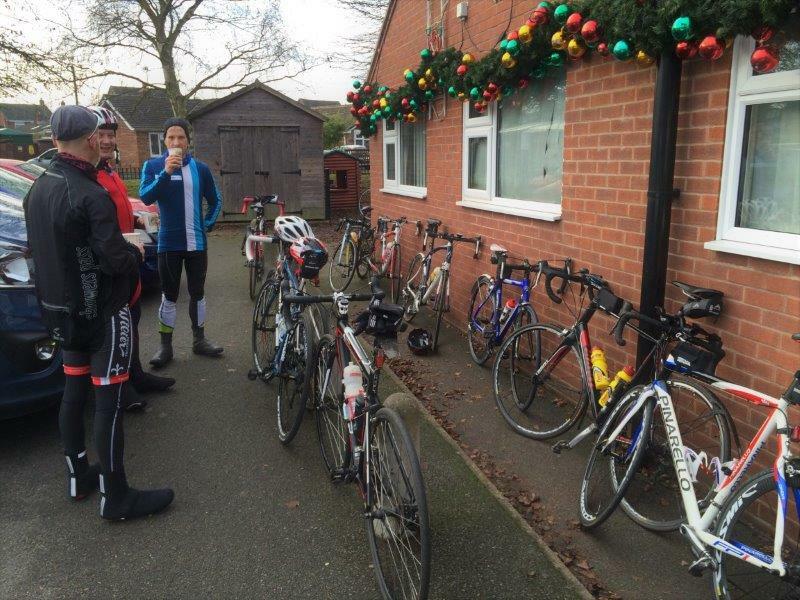 Please support Holly's amazing endeavour. Donate to sponsor her at JustGiving now. 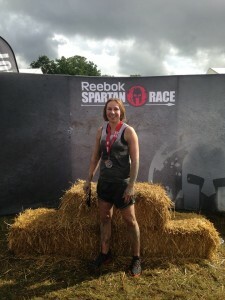 Kayley's Story - The Spartan Race for APP! A huge congratulations to Kayley Easterbook for taking on the huge challenge of the Spartan Race last week. "The event was brilliant, I really enjoyed myself." 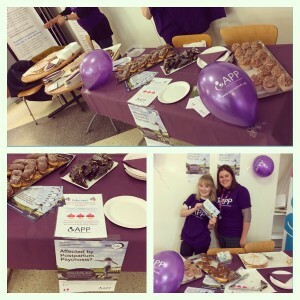 said Kayley who is raising money after her experience of PP. 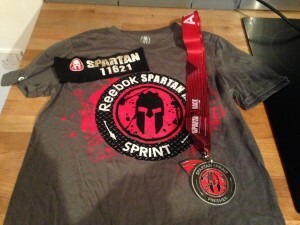 "The white APP shirt got totally covered in mud but I wore it around nonetheless". Thank you so much for doing this Kayley. Please support her amazing effort by clicking here. Kayley at the finish line, an amazing triumph! 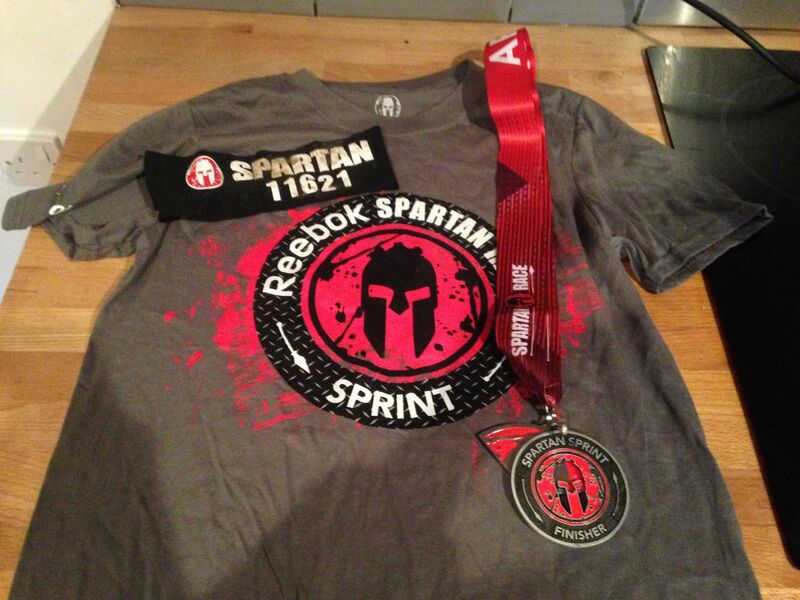 The Spartan Sprint Shirt and Medal, what an achievement! 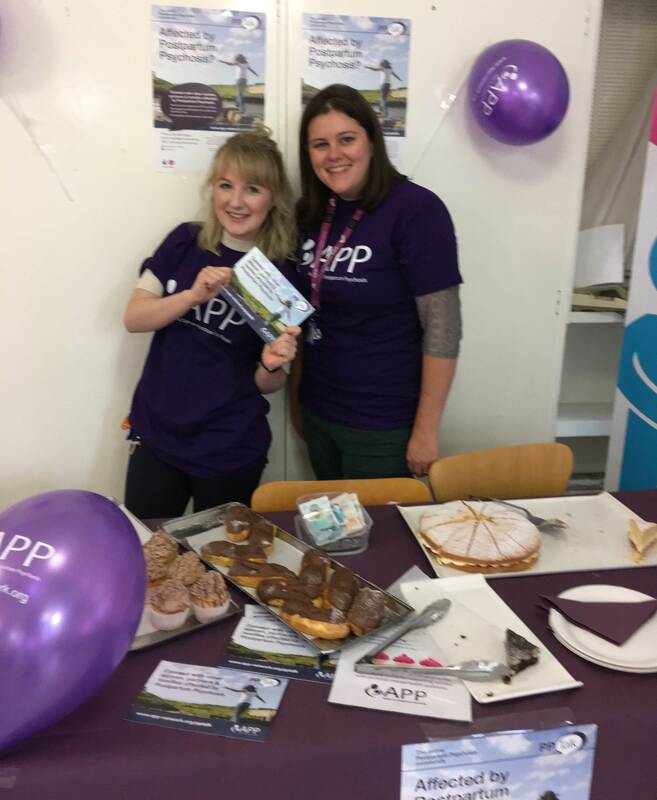 We're delighted that two supporters are taking part in two different races to raise money for APP this October. 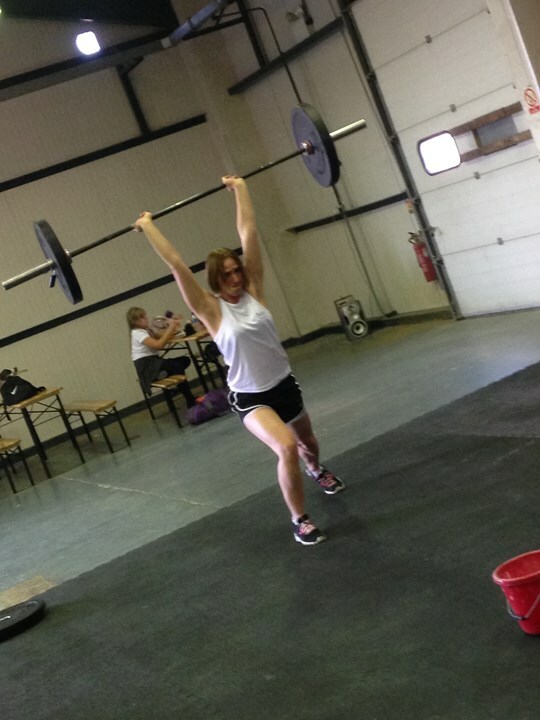 On 1st October, Kayley is taking part in the Spartan Sprint in Windsor Great Park. Spartan races are full on, featuring over 15 obstacles such as a rope climb, fire jump, tyre drag, wall climb and more over 5-6k. Kayley has been in serious training, lifting weights and getting Sprint fit. Please wish her well and increase her motivation by sponsoring her amazing effort. 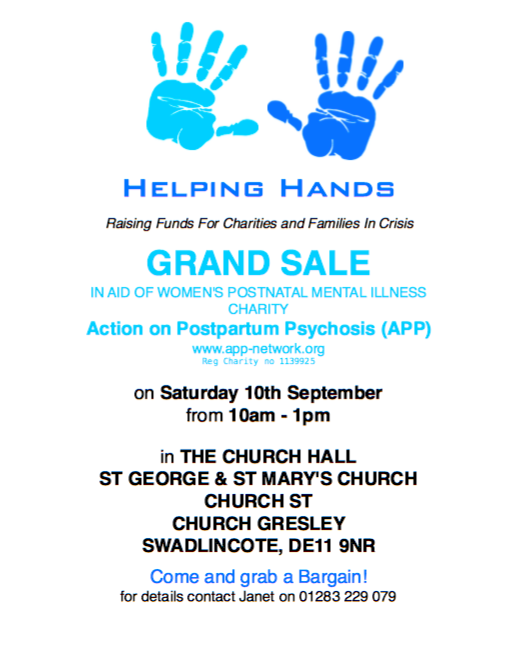 All funds raised will go towards raising awareness of Postpartum Psychosis. We're hugely grateful to Kayley not only for signing up to this physical challenge but also for distributing our patient information guides in her local health services and sharing her personal story. A few weeks later, Debbie takes on the Great South Run in memory of her cousin Rosy. It's a fast and flat 10 mile course through Southsea and Portsmouth. She's also been in training, running rain or shine and just got her APP vest and flyers in the post. Please support Debbie's amazing efforts to raise vital funds to help keep our peer support and information services available to everyone who needs them. Find out more about APP's work and read personal experience stories on our website. We provide the only PP peer support network in the UK. 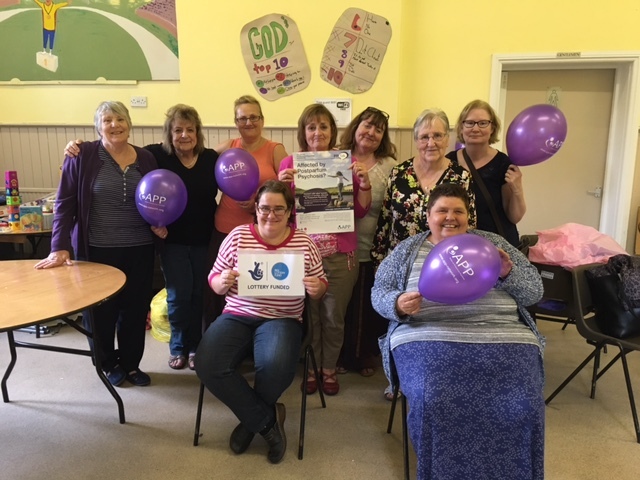 Warm thanks go to a charitable group of women from Swadlincote who collectively call themselves "Helping Hands" for their recent support of APP. 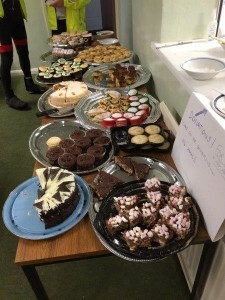 A table top sale and two further sales managed to raise the fantastic sum of £1280.09. The group worked so hard for APP this summer as did their friends, who not only donated items for the sale but also: all the produce needed for the most delicious of homemade teas. 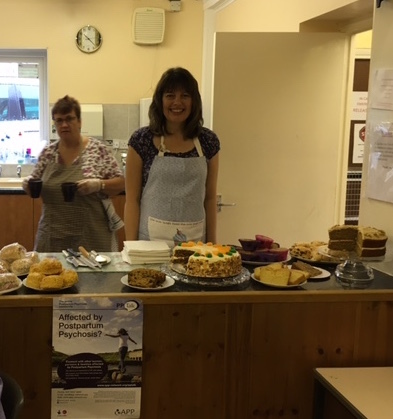 Special thanks to Heather Jane Osborne and the kitchen ladies and also to Janet and the rest of the Helping Hands group"
Find out more about our information and peer support services for women and families affected by PP and please help us continue this vital work.